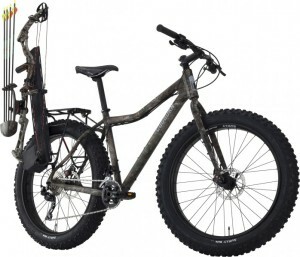 The announcement of the new camo Cogburn fat bike has been making the rounds on the internet. Cogburn is a new QBP brand that looks like it will be targeting the sportsmen crowd whose primary interest is hunting and fishing and may be interested in bicycling. This seems like the perfect lovechild between QBP and its outdoor counterpart Q-Outdoors. While most of the attention has been focused on its camo paint job (which does look pretty awesome) and its fatness, the bigger and more exciting story is the subtext of this move. Let’s face it, bicycling is too often viewed in connection with people that live in cities. Cogburn could be the first brand that is targeting potential rural cyclists that don’t live in cities and have no interest in the bike as transportation, but could use it in conjunction with other activities. It is taking the bicycle to previously uncharted and vast waters. What excites us most about Cogburn is how it dovetails with our interests in bicycle tourism. In our experience, rural communities are latent bicycle proponents. They won’t be advocating for protected green lanes on their Main Street with a single traffic light, but they can recognize the economic gains of people with bikes staying overnight at their hotels and drinking beers at their bars. In short, you have to make bicycling relevant to the people you are trying to reach and can’t beat the same old drum. This is what Cogburn does from the industry and product level and it is brilliant. 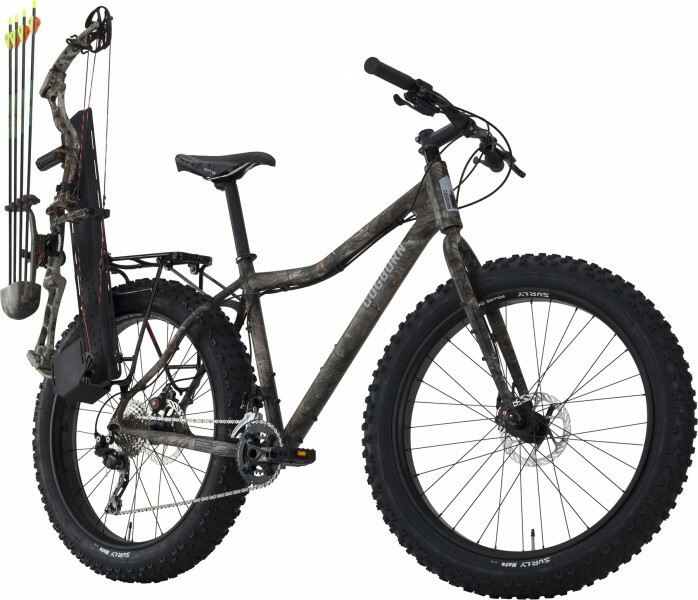 A Linus or Bakfiets doesn’t make sense in the country, nor does it make any real steps to reach a new rural market, but a bike with the right form and function (accessoriess to carry a bow, rifle or rod) does. While I don’t think QBP views Cogburn as rural bicycle advocacy (who knows, they might! ), I think it has the potential to act as such. The more people you can get on a bike, the more you can find common ground. While it might be a long time before a hunter and roadie are sharing beers and debating the advantages of running tubeless tires, this brings us one bike closer. What a good point! I wonder what the rural working cargo bike is built like? We remember hearing about a farmer in Texas who use to mend his fences by bike and got into mountain biking in the process…he then built some trails and opened up his property to mountain bike events! Lets not make sweeping generalizations about folks who live in rural areas not biking and being obsessed with hunting/fishing. Many rural communities are meccas for road and mountain biking, likewise many gear crazy hunters live in the city and make weekend or annual hunting trips. In not convicted that there is a very big market for salsa mukluks with a camo paint job but I’m interested to see where this goes. I’d lie to see less ATVs while our riding. There is a certain genius behind this concept. If you can show outdoor sports folks that bicycles can work for their chosen sport as well as the ubiquitous truck, I think that they’ll go for it. A quieter, lower maintenance way to do what they love? I think this has potential. Of course, I’m waiting for the bicycle deer rack! This is a genius concept. Stealthy, self-sufficient, more nimble than ATVs, low impact. You might want a trailer with it if you’re hunting large game.